In the beginning of chapter 2 David speaks about an opportunity he has to teach the Church. They actually stop working for a couple of weeks so that he can teach them the whole OT in 2 weeks. When’s the last time you went to an all day Bible Study? When’s the last time you were that thirsty for God’s word? He brings out an interesting point about the Asian church he had visited. They didn’t have a fancy facility, lights, sound, big band, etc.. but the had the Word of God and that was enough. Is it enough for us? Can you imagine what it would be like to have to sneak to church each week? Would you still come? Would you come if the air or heat wasn’t working? If there weren’t nice pews or chairs to sit in? Would you come to just soak in learning the scriptures? In this part of the chapter Mr. Platt reminds us that the God we serve isn’t just about love. He is also about justice. We need to make sure that people realize that if they will not accept the gift of God’s Son, they will face the wrath of God. We need to be reminded that we are dead in trespasses and sins without Christ. We don’t need a boost, we need a resurrection. We are not inherently good. We do have the image of God within us, but it has been broken. We desperately need the Savior. We don’t get to choose how He rescues us. Ultimately, this chapter was a reminder to stay hungry. We need to keep pursuing Christ. 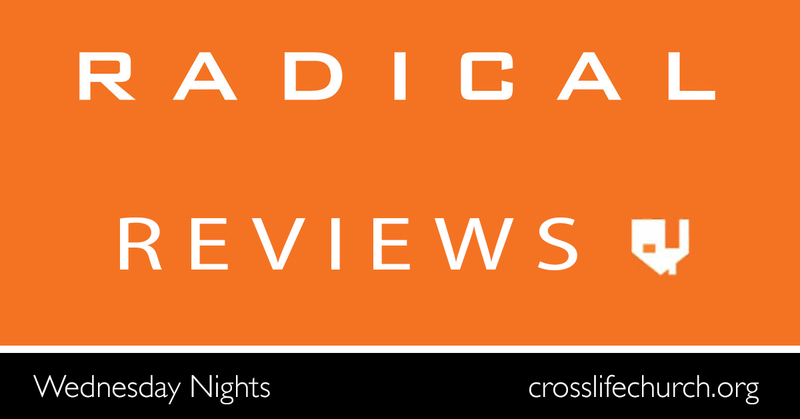 Join us on Wednesday Nights at 7 as we work our way through the book Radical. We dove into the deep end of the pool for our first week of Radical. There were a few different tensions that David Platt brought out. When you look at some of the hard sayings of Christ, you have some hard choices to make. We know that Christ would desire that we care for our families and yet on two occasions in the passage above, Jesus is challenging his would be followers to choose Him over their family. Who wins? We also saw the contrast of some examples of the persecuted church vs the picture of the American church. As I stood on that mountain, God gripped my heart and flooded my mind with two resounding words: “Wake up.” Wake up and realize that there are infinitely more important things in your life than football and a 401(k). Wake up and realize there are real battles to be fought, so different from the superficial, meaningless “battles” you focus on. Wake up to the countless multitudes who are currently destined for a Christless eternity. We had an interesting discussion about football and a 401(k) seeing that most everyone had just watched the super bowl. While we don’t think football or investing is inherently evil, we also don’t want to look back on this life recognizing that we’ve wasted it over and over on things that won’t matter in eternity. Now, remember what was on the left: “First Baptist Church Celebrates New $23 Million Building.” On the right the article said, “Baptists have raised $5,000 to send to refugees in western Sudan.” Five thousand dollars. That is not enough to get a plane into Sudan, much less one drop of water to people who need it. Twenty-three million dollars for an elaborate sanctuary and five thousand dollars for hundreds of thousands of starving men, women, and children,most of whom were dying apart from faith in Christ. Where have we gone wrong? How did we get to the place where this is actually tolerable? Like many other American churches we find ourselves trying so hard to maintain a nice facility (which we are also very thankful for) vs needing to raise funds to help our missionary family get the gospel around the globe. Needless to say we walked away with more questions than answers. But I think we found rest in this truth: Individually we must find what God is asking us to do, and then pursue it with reckless abandon. What is God asking of you? We’d love to have you join us for our Christmas Eve Service on December 24th at 6 pm. This candlelight service should last less than an hour but will be a great time to focus on what Christmas is all about. We will also be having a Christmas Day service on Sunday at 10:30. We’d love to have you join us for either service – or even for both of them! Join us on Wednesday, November 9th at 7pm for a very special event. Get more info and watch the trailer at www.insanityofGodmovie.com. The film is based on the best-selling book Insanity of God (BH Publishing) and is released in association with the International Mission Board (IMB). We are ready for a FUNtastic time starting July 11th! 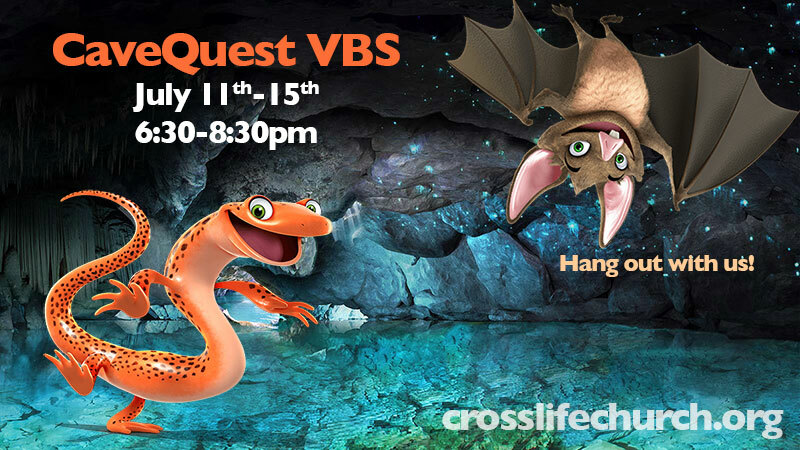 We’ll be hosting the Cave Quest VBS for kids between Kindergarten thru 6th Grade. We will have skits, fun lessons, games, crafts and snacks. You won’t want to miss out on this event each night from 6:30-8:30pm. Register for our event using the form below or on our Facebook Event Page. It’s back! We will be having the 2016 CrossLife Car Show on Saturday, August 27th. Last year we had lots of amazing cars and stories to go with them. We will kick off at 10 am and go to 3 pm. We’re looking for more fabulous cars and a fun filled day. We will have door prize drawings and a small gift bag for everyone who registers. Please help us gather school supplies for Adams Elementary on the South Side of Indianapolis. We will be collecting at church until Sunday August 2nd. Any school supplies would be appreciated. Here’s the Adams Elementary 2015 Supply List if you need some ideas! This year’s VBS promises to make a splash! Come join us for the Wacky World of Water VBS. We’ll meet Monday through Friday at 6:30 pm each night. We will have skits, fun lessons, games, crafts and snacks. We’re trying something new this year. We’d like for everyone to register online so we now how many people are coming. 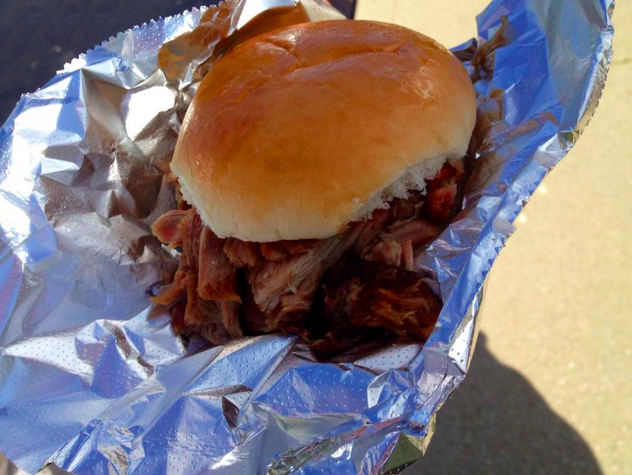 If you pre-register online by June 25th we’ll give a Free T-Shirt to the first 50 attendees.